The BCI sub-committee, formed in response to the letter addressed to the Chairman of Bar Council of India, Mr. Manan Kumar Mishra by BJP leader and Advocate Ashwini Kumar Upadhyay, has ruled that legislators- MPs, MLAs and MLCs- can be allowed to practice. In its order, the sub-committee comprising B.C. Thakur, R.G. Shah, D.P. Dhal and S. Prabhakaran observed, "For that matter, all kinds of legally regulated professions like medicine and law, howsoever demanding they may be, are compatible with public services/duties. Ideally all these professions, with some aberrations here and there, exist to serve the people. We should not forget the fact that lawyers like Mahatma Gandhi, Bal Gangadhar Tilak, Dr. Ambedkar, Jawahar Lal Nehru, Dr. Rajinder Prashad, Lala Lajpat Rai, Rajgopalachari, C.S. Dass have played important and crucial role in our freedom struggle while they were practicing advocates. There is no valid reason as to why services of an advocate, who happens to become an MP/MLA, should not be available to general litigant public who are aggrieved by any act/deed of the government." 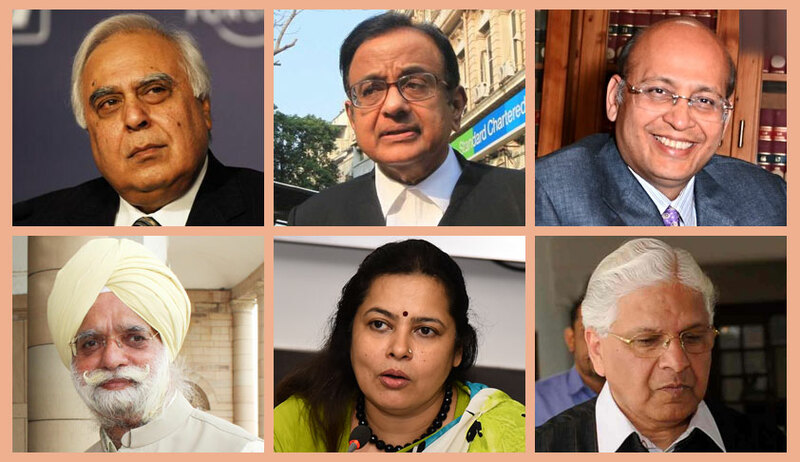 The sub-committee opined that legislators are not employees of the Government or the State and hence, Rule 49 of the Bar Council of India Rules is not violated. It observed that a legislator does not hold an office of profit under the Government of India, noting that holding an office of profit is in fact a disqualification for being an MP or an MLA under Articles 102 and 191 of the Constitution of India. It also asserted that legislators are paid salary, pension and other emoluments not as employees, but as public servants of a special category. Besides, it noted that salaried and part-time employment is permitted under Rule 49. "An ‘employer and employee’ relationship can come into existence only when a contract of employment is executed between the concerned parties or when an employee joins the services of the employer under the relevant rules governing such employment providing for the terms and conditions of the employment. However, in case of MPs and MLAs, we find that no such relationship exists. Normally employees hold the employment only at the pleasure of the employer and the employer has the right of removing an employee though such right may be subject to due process of law. Tenure of MPs and MLAs is fixed and determined by law and on the other hand tenure of the government is dependent upon the collective will of the MPs/MLAs. Both are performing their respective and different constitutional and legal duties independently as per the mandate of law. ...There is no provision in the Constitution or in any other law for the time being in force, which can even remotely suggest that MPs and MLAs are employees of the government or of the State. Merely performing public duties in discharge of constitutional and statutory duties attached to the office of MP/MLA does not make them employees even though they get salary and other benefits for it. Government cannot remove MPs and MLAs from the office they hold. Further an MP/MLA is not accountable to the government as an employee would be. On the contrary, it is the government, which is accountable to them. In this scenario, to say that the MPs and MLAs are employees of the Government would be most incongruous. This argument is the antithesis of democracy." The sub-committee also examined the Supreme Court decision in the case of Dr. Haniraj L. Chulani v. Bar Council of Maharashtra & Goa, 1996 AIR 1708, wherein it was held that a person qualified to be an Advocate would not be admitted as one if he is in fulltime or part-time service or employment, or is engaged in any trade, business or profession. It distinguished the case from the matter at hand noting that Dr. Chulani's case dealt with the Rules framed by the State Bar Council of Maharashtra and Goa and not Rule 49. It further highlighted the fact that unlike doctors, MPs and MLAs do not belong to any profession that is regulated by a professional regulatory authority like the Medical Council of India. "The instant matter is clearly distinguishable from Dr. Haniraj’s case. In Haniraj’s case, the Honorable Supreme Court was dealing with the case in which a medical practitioner wanted to pursue two professions concurrently. When the Honorable Supreme Court of India said that one cannot ride two or more horses at the same time, it was talking of two professions i.e. law and medicine. Here it is not a case of two professions. This judgment has to be read as a whole and discussing only one aspect of it presents a distorted picture and puts the matter out of context. In our view, the petitioner is stretching the idea of “wholehearted and full-time attention” to the profession as discussed by the Honorable Supreme Court of India too far. It is a figurative expression that was used to emphasize the point in discussion. It does not mean that one has to devote 24 hours a day and 7 days a week to the profession. It cannot be said that it forbids or expects a professional not to devote any time and attention to things other than one’s profession like family, society, nation and public duty. No profession can be insulated from society and public at large lest it would fade away and become irrelevant. It is for the professional in question to manage his time so that he serves both the profession and his social and the public duties. The minute details are best left to the professionals." The sub-committee also rejected the contention that legislators themselves may be involved in challenging a law in their capacity as an Advocate, observing, "In a democratic set up, it is right of every citizen of the Country either to support or oppose any Act passed by the Parliament or by the State Assemblies and voice their views in whatever forum that may be available to them and MPs and MLAs are no exception to it. It cannot be said that members of the House that passes a particular law cannot criticize, oppose or challenge it. In such a case, we do not see any conflict of interest." It further considered the contention that an MP has a crucial role to play in an impeachment proceeding that may be initiated against a Supreme Court or High Court Judge, and that this may place him at a position of authority as against the Judge. It, however, opined that the argument was "far-fetched", as the situation doesn't arise until such motion is admitted. The sub-committee, nevertheless, clarified that once such motion is admitted, "it may not be proper on the part of the advocate, who happens to be an MP, to appear before such a Judge". It also requested the Bar Council of India to consider the viability of a rule barring advocates from appearing before a Judge against whom a motion of removal has been admitted. Adding a word of caution, it observed, "But before such a rule is framed, it needs further examination and all the stakeholders need to be given an opportunity to present their views on the subject."